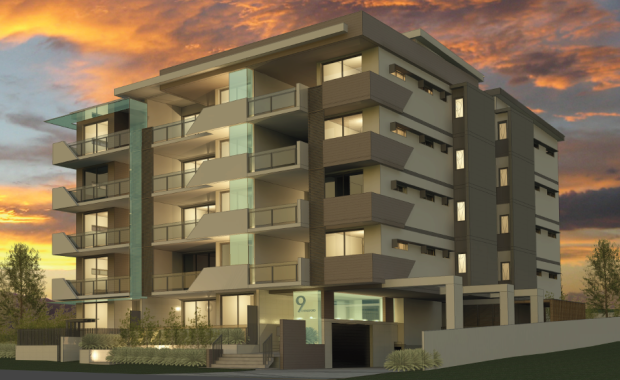 Tessa Developments and Excel Development Group have lodged a Development Application for 29 apartments in Chelmsford Avenue, Lutwyche. Targeted at the local owner occupier market the development over five levels consists of 29 large two bedroom, two bathroom apartments. The development was designed by Brisbane architecture firm Red Door Architecture. Located only 200 metres from the new Lutwyche bus interchange the site was put together with the amalgamation of three properties. Tessa Developments managing director Brendan Tutt said the company purchased the site because of its proximity to the CBD, the Lutwyche bus interchange and local parks. "Lutwyche is a major part of the inner north story and we looked at a number of sites before proceeding with Chelmsford Avenue," Mr Tutt said. The building features Tessa’s trademark oversized apartments, high quality finishes and basement car parking for all apartments. A lot of attention has been focussed on the facade and building's lobby with the use of timber and glass.